Marty is a trained coach and official that we are excited to welcome back to Front Range for the 2018-2019 season. Marty coached at Front Range from 2002 to 2008, and led many of his teams to success at the national level. During his time with us Marty coached various teams in the 14-18’s age groups. As Head Coach of 15 Cardinal in 2005 & 2006 his team won a gold medal at the Far Western National Qualifier and a bronze medal at the Colorado Crossroads Qualifier. His team then placed 2nd at the RMR Regional Championships and finished out the season with a 35th place finish in the 15 National Division at Junior Olympics. 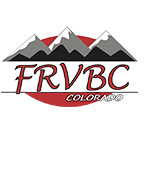 Within the RMR Marty has also coached at CVA and Colorado Nuu Sky Volleyball Club, and from 2009-2014 he founded and ran Club 5280 Volleyball of which he was the Director of Coaching. Marty also has coached high school volleyball at Heritage, Mullen, and Smoky Hill High Schools. Marty is an experienced volleyball official with experience refereeing both indoor and beach matches at the junior and collegiate level. In fact, Marty is 1 of only 8 officials certified to officiate junior beach events in Colorado. We are thrilled to welcome Marty back as Head Coach of 15-1 White.